The team at Hoggatt Law Office, P.C. 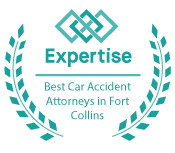 represents clients in Boulder County and northern Colorado in matters related to personal injury and on-the-job injuries. Our attorneys have more than 20 years of legal experience and a long history of success. If you have been injured at work or in any type of motor vehicle accident, we can help you get the compensation you need to put your life back on track. When you have been injured in any type of accident, you deserve an advocate who knows the challenges that you are facing. Hoggatt Law Office, P.C. is a small firm, but we believe that our size is one of our most important strengths. We take a personal interest in every case we handle, which means that you will always be more than the name on your case file—you become a part of our family. By taking the time to get to know you, we can fully understand the extent of your injuries and how they are affecting your life. As our client, your priorities become our priorities, and your goals become our goals. Using this approach, we have recovered millions of dollars in settlements and verdicts for our clients. We are ready to put our experience on your side. Let us show you the difference that working with a small firm makes. Injuries caused by fires and explosions. We will conduct a full investigation into the circumstances of your accident so that we can determine which party or parties may be held liable. From there, we will build a case designed to obtain maximum compensation under the law. To learn more about our firm and our commitment to our clients, contact our office. Call 720-575-0509 or 1-800-664-3151 to schedule a free, no-obligation consultation today. Hoggatt Law Office, P.C. serves injured victims and their families in Longmont, Boulder County, and throughout northern Colorado.